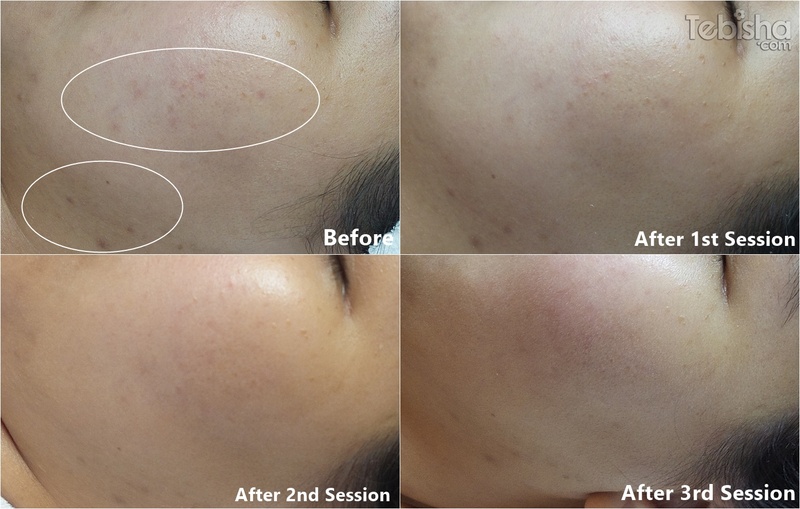 Recently I have completed my 4 sessions of Skin Shaper Facial with Skin Shape Club. 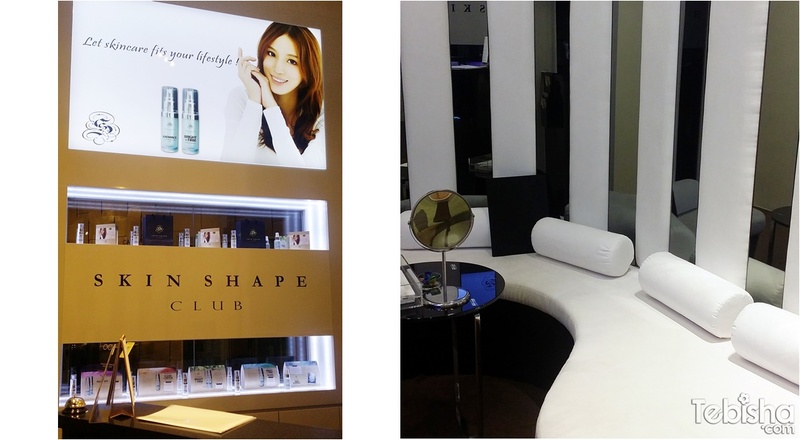 I will tell you more about my experiences and results of Skin Shaper Facial in this post so read on, but first let me introduce the hidden gem in Orchard Central “Skin Shape Club”! Skin Shape Club is founded as a boutique wellness club to allow its members to learn more about beauty & wellness and conveniently receive clinically-proven skin and slimming treatments that keep you in shape. Skin Shape Club team works with doctors and dermal experts from overseas and local to design treatments and programs which can be done daily, weekly and monthly. Treatment duration falls between 30mins to 1hr, highly suitable for people who has limited time yet wish to be well-groomed. The aestheticians are professionally-trained and regularly being tested to ensure they provide optimal care during treatment procedures. On my first appointment, aesthetician Jasmine did a detailed consultation & analysis with me which allowed me to know my skin and body better. 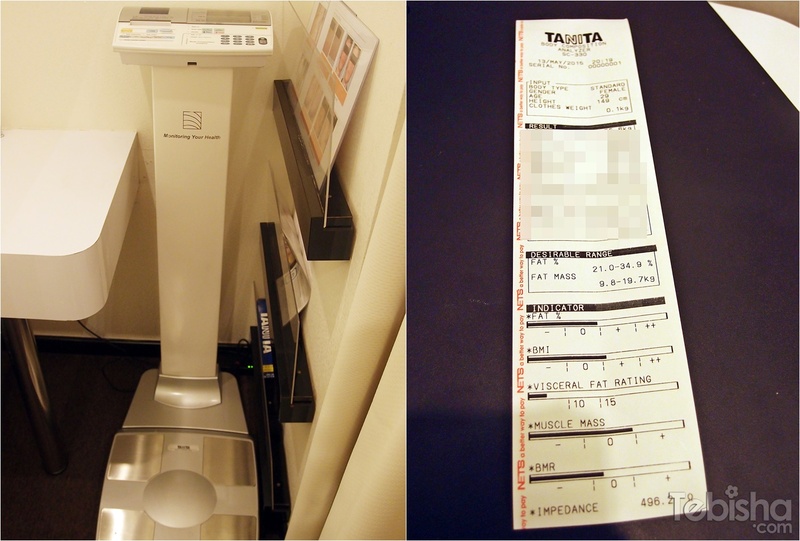 Body analysis was done by this machine which calculates our body fats, muscles mass and etc. After the consultation, Jasmine brought me to the treatment room. All the treatment bed comes with bed warmer to keep us warm in the air-con room. There are 2 treatment rooms in Skin Shape Club, this is the bigger room. Changed to the robe they provided and ready for treatment! Skin Shaper Facial is a 30 minutes treatment that combining light and heat energy, this treatment offers you younger, healthier looking skin. This facial program is designed by medical and dermal experts from overseas and locals using trademark registered LHE® technology (Light & Heat Energy) for skin rejuvenation, collagen renewal and acne clearance. With 3in1 skincare treatment, you can walk-in walk-out the Skin Shape Club looking better and confident. Great for sensitive and Asian skin too! My experiences: No pain or discomfort feel during the treatment. There’s slight warm sensation which is bearable. Jasmine is very experienced, she will consistently ask me do I feel uneasy during the treatment. My skin improved after each session. You can see from the pictures below, scar marks are visibly reduced, skin getting smoother and skin tone is more even. This is my skin condition after the 4th session. 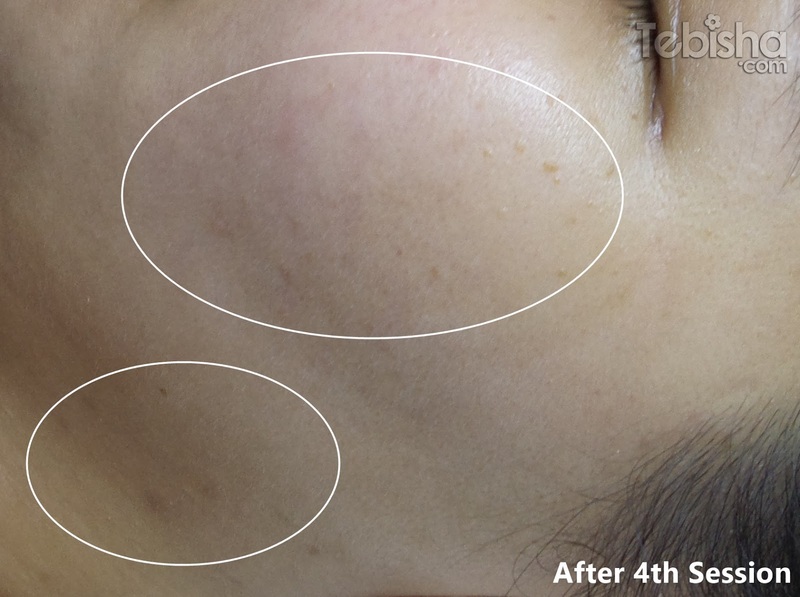 Can you see the tremendous improvement form the before treatment skin? Scar marks almost gone, skin is fairer and radiant! A special Club Lounge exclusively for their customers, after each treatment we get to enjoy delicious healthy snacks in their Club lounge. Complimentary Wi-Fi for all club members and exclusive invitations to workshops and talks they organize throughout the year. They serve food and drinks that boost your overall well-being. While savouring our food, we can browse the collections of wellness /skincare books and magazines to learn more about health and beauty. 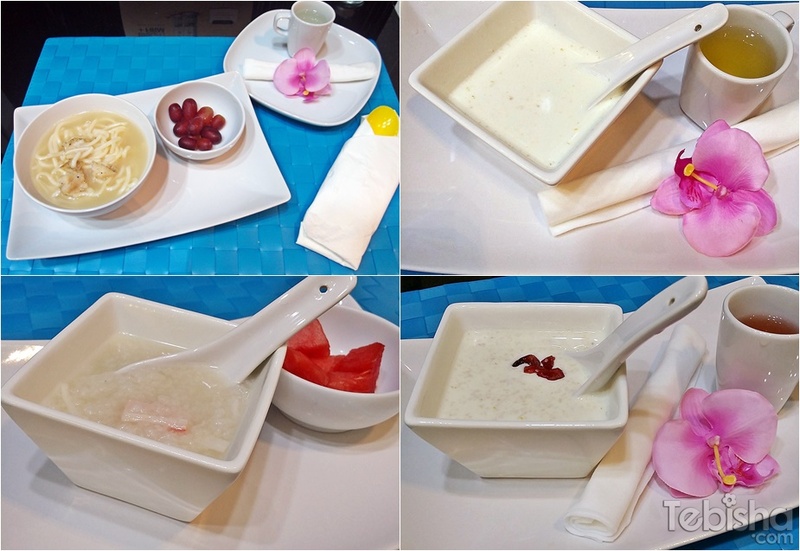 These are the 4 meals served after my 4 treatments. I always looking forward to my next appointment and wondering what menu will they serve on my treatment day. Healthy and yet yummy food! P/S: On Tues, Skin Shape Club give out free fruits to anyone who drop by with their business cards. Thank you Sample Store & Skin Shape Club for the wonderful facial experiences and helped me to achieved healthy and beautiful looking skin.